Adolescence is a difficult time for everyone in one way or another. Surges in hormone levels, ups and downs in mood, peer pressure both positive and negative, along with sometimes negative self-assessment are all to be expected at this time. Most frequently, teenagers work through these tough times, striking a balance between the more negative aspects of growth and the successes possible in school and otherwise. They focus on friendships that can last a lifetime and work to develop a positive sense of self by participating in the myriad of activities available to them. Clearly, periodic bad moods will happen. There may even be times when the teenager acts out his or her feelings in less than optimum ways. But these times typically pass. However, these factors and others can lead to a more serious problem among adolescents: Depression. And along with depression often comes the possibility of suicide. There are many indicators of depression in teens. At times, it’s difficult to differentiate normal adolescent mood swings and depression (Smith, Barston, & Segal, 2014). Add to this the fact that teens who are depressed don’t always show it like adults do. There is no sadness or withdrawal. There may be aggression and rage instead. It is this latter sign that very well be most serious. If an adolescent shows five or more of the above symptoms for two weeks or more, significant depression is present. If the teen voices thoughts of dying or death, it must be taken very seriously. While the signs and symptoms of depression are the same for adolescents and adults, depression in teens often presents very differently from adults (ibid.). It is imperative, therefore, for parents, teachers, and professionals involved with adolescents to know the different ways teens show their depression. · Irritability or angry mood. Teens frequently exhibit irritability rather than sadness as the dominant mood when depressed. Being easily frustrated, grumpy, or even hostile are indicators of adolescent depression. · Aches and pains with no physical reason. Headaches and stomachaches with no medical cause may signal teenage depression. · Extreme sensitivity to criticism. Feelings of worthlessness are frequent with teens who are depressed. These feelings make them very vulnerable to rejection and failure. · Withdrawing from most people. When depressed, teens may continue with some relationships while avoiding others. This is in contrast to adults who typically isolate themselves from all relationships when depressed. One study (Zuckerbrot & Jensen, 2006) reported 3-9% of adolescents at any given time endorsed symptoms of depression. In addition, 20% of adolescents reported an episode of depression at some time during their lives. Apparently, the prevalence rate has increased in six years. The National Institute of Mental Health (2012) reported 9.1% of the U.S. population of teens as being depressed. This represents 2.2 million adolescents between the ages of 12 and 17. It is important to remember that the presence of depression in adolescents does not automatically equate to those adolescents attempting suicide. However, adolescents appear to be more at risk of considering suicide as a means to escape what they perceive as an intolerable situation. Their vulnerability to the idea of suicide may be made worse due to adolescents not generally being emotionally capable of seeing a lot of options to ending their lives. This is one major reason for them having immediate access to a professional who can guide them through their depression and help them see alternatives to suicide. Because of the strong relationship between adolescent depression and suicide, statistics referring to the incidence of suicide among depressed teens are also valuable. 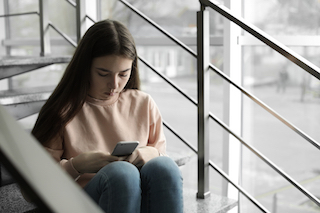 Suicide is the third leading cause of death among young people between 10 and 24, according to the Centers for Disease Control and Prevention (2014). It is the eighth-leading cause of death overall in the U.S., according to the National Alliance on Mental Illness (2014). To underline further the significance of adolescent suicide, consider the following: in 1996, more teens died of suicide than from cancer, heart disease, AIDS, birth defects, stroke, pneumonia, influenza, and chronic lung disease combined (ibid.). Today, approximately 4600 deaths among teens are attributed to suicide each year (CDC, 2014, op cit.). These numbers may actually be under-reported due to teen deaths being listed as accidents. Thus, the actual number of adolescent suicides may not be known (American Academy of Pediatrics, 2000). Other authors also reported the incidence of suicide to increase dramatically at age 14 (Garfinkel & Golombek, 1974). Approximately 1% of all teens consider and even attempt suicide, regardless of the presence of depression (Tracy, 2013). The rates of considering and attempting suicide increase dramatically when depression is present. Up to 30% of teens with depression who thought about suicide will continue to an attempt. King and Vidourek (2012) noted that adolescents with depression are up to 12 times more likely to attempt suicide. While it is true that adolescents may make statements about wanting to die or wishing they were dead in an attention-getting way, even these kinds of statements must be taken seriously. Whether they are seeking attention, possibly in an effort to obtain treatment, or are truly serious about committing suicide, teens talking about death and dying should be assessed, even informally, by someone who is knowledgeable about suicide possibilities. Often, parents will overhear their adolescents making these kinds of comments. These parents are then in a difficult situation. Should they immediately take their teen to a therapist or their primary care physician or try to talk with him or her, or do nothing? The last option is unacceptable. Too many very negative outcomes may transpire. The number of adolescents who attempt and may be successful at suicide is simply too great to ignore. These kinds of thoughts or behaviors must be taken seriously. What are the signs of potential suicide in an adolescent? The following is a compilation of these signs from several sources (Smith, Barston, & Segal, 2014; King & Vidourek, 2012; American Academy of Child & Adolescent Psychiatry, 2008). Even only one or two of the above-listed indicators should cause parents and teachers to be alert to the possibility that an adolescent is covering up others of the indicators. Discussing what is seen with the teen is always a good option. What Can Bring An Adolescent To The Point Of Suicide? There are many possible answers to this question. It is important to keep in mind that adolescents, like adults, react to their perceptions of what is going on, not always to what has actually happened. But to them, if they think something serious has happened, it really happened. King and Vidourek, (2012) list some factors. One of the most frequent causes of depression that may lead to suicidal ideation in a teen is loss of some kind. This may be an actual loss such as in the death of someone close to them or a perceived loss such as fear of losing prestige in the eyes of peers. Changes in relationships may also lead to suicidal ideation. Breakups with serious friends of the opposite gender may cause depression leading to this kind of thinking. A very close friend moving away is yet another relationship change of this nature. No longer being considered one of the “elite” group is a change in relationships and a loss of prestige, making it possibly a stronger blow to the adolescent. Receiving a lower grade than desired, not making a sports team, or not being selected for cheer leading may be significant enough for teens to bring them to the point of at least considering suicide. These kinds of great disappointments can be severe blows to an adolescent. A serious illness, either of self or loved one, or the belief that a serious illness is present may lead to suicidal ideation. Thinking about the suffering one may go through or the disfigurement potentially coming from the illness or a subsequent surgery can be very significant to a teenager. The seriousness of suicidal talk or ideation in adolescents cannot be downplayed. All such talk must be taken seriously. There are professionals available in nearly every community to intervene appropriately and adequately with teens who are in this situation. Clergy, physicians, and behavioral health professionals are trained to assess, refer, and/or treat adolescents with depression and suicidal impulses. Parents should not hesitate to begin the discussion with their teens about the possibility of suicide. Doing so will not put the idea in teens’ heads. In fact, they may very well welcome the chance to talk with someone about their thoughts and feelings. If not parents, then a professional who will listen and provide the right help. American Academy of Child & Adolescent Psychiatry. (2008). Facts for families: teen suicide. American Academy of Pediatrics. (2000). Suicide and suicide attempts in adolescents. Pediatrics, 105, 871-874. Centers for Disease Control and Prevention. (2014). Suicide prevention: youth suicide. Retrieved from http://www.cic.gov/violenceprevention/pub/youth_suicide.html. Garfinkel, B.D. & Golombek, H. (1974). Suicide and depression in childhood and adolescence. Can Med Assoc J, 110(11), 1278-1281. King, K.A. & Vidourek, R.A. (2012). Teen depression and suicide: effective prevention and intervention strategies. The Prevention Researcher, 19(4) 15-17. National Alliance on Mental Illness. (2014). Teenage suicide. Retrieved from http://www.nami.org/PrinterTemplate.cfm?Template=/ContentManagement/HTML. National Institute of Mental Health. (2012). Major depression among adolescents. Retrieved from http://www.nimh.nih.gove/statistics/1mdd_child.shtml. Smith, M., Barston, S., & Segal, J. (2014). Teen depression: a guide for parents. Retrieved from http://www.helpguide.org/mental/depression_teen.htm. C. Wayne Winkle is a board-certified family psychologist with thirty years experience in the field. He earned his doctorate at Texas A&M University at Commerce where he wrote the major portion of a National Institute of Mental Health grant for the university. As a writer, he has published four novels with another on the way. His freelance writing also includes blog posts, web copy, sales letters, fundraising letters, and grant proposals for non-profits. He lives with his wife Vicki in Arkansas.